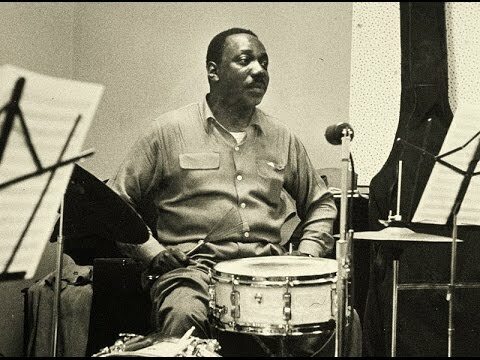 In the 1950s and the first half of the 1960s, Osie Johnson was one of the most in-demand drummers in New York, making a countless number of recordings and working steadily in the studios. He started working professionally in 1941, was with Sabby Lewis' band in Boston (1942-1943), and then was in the military where he played in a Navy band (1944-1945). After five years freelancing in Chicago, Johnson was a member of Earl Hines' band during 1951-1953. Stints with Dorothy Donegan and Illinois Jacquet followed before he became a busy session musician, playing and recording with a who's who of mainstream (including Coleman Hawkins, Dinah Washington, Wes Montgomery, and Sonny Stitt). 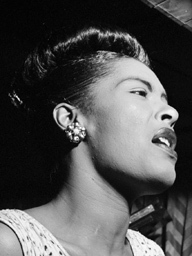 In addition to contributing tasteful and supportive drums, Osie Johnson was an occasional composer, arranger, and singer, leading sessions for Jazztone (1955) and RCA (1956).